Well, Laura Bassen is my very favorite cardmaker of all times, no wonder her board was full of inspiration - she had a great taste and style. So I sat down to create a cutting file for some easy leafy-shapes, cut them from white cardstock and colored them with Copic markers. 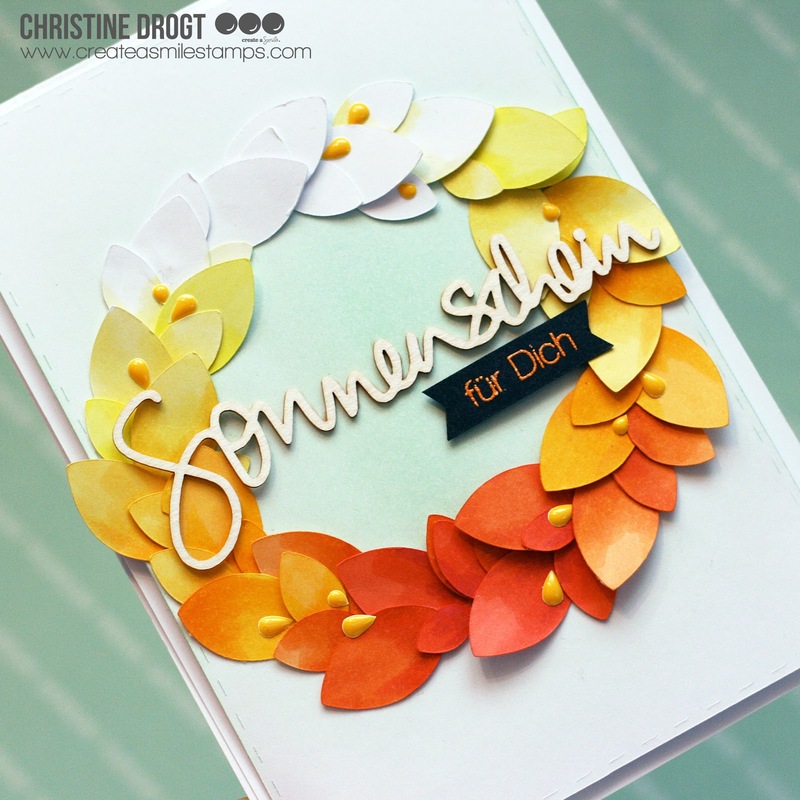 Althought I looooved the aqua/teal wreath I went with yellows and oranges, because it was clear that I would be using the Sonnenschein-chipboards (which means sunshine). The card felt completely incomplete (ha!) until I added some enamel drops from the sending sunshine Enamel stickers - that really finished off the card. Somehow it was really hard t capture this card, I think it's much prettier in real life - bummer! This is AMAZING!! I LOVE the orange (one of my favorite colors!) and the addition of those drops is GENIUS. I think it really makes the leaves POP. What a fabulous technique!!! Beautiful!! 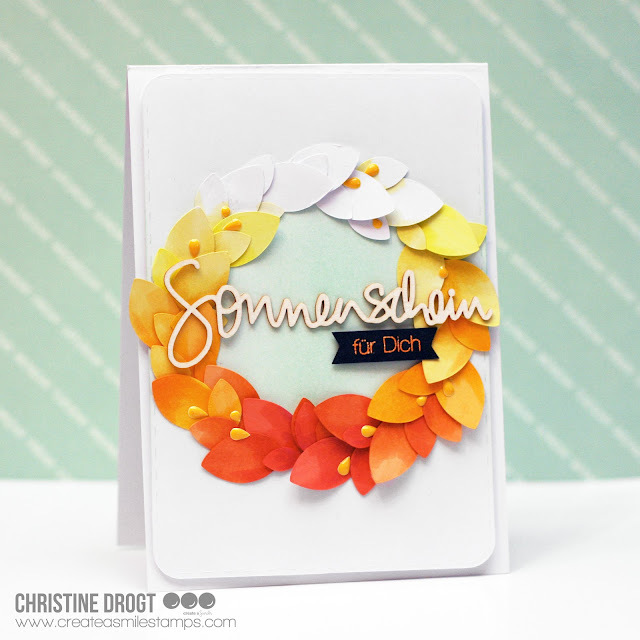 Love how you've taken the inspiration and made this stunning card! Wow, wirklich toll und sehr erfrischend, bei dem Schmuddelwetter das wir momentan haben! This turned out wonderful! I love it!!! Soooo schön!!! Und die sonnigen Farben, tuen bei dem Wetter so richtig gut ;))! !